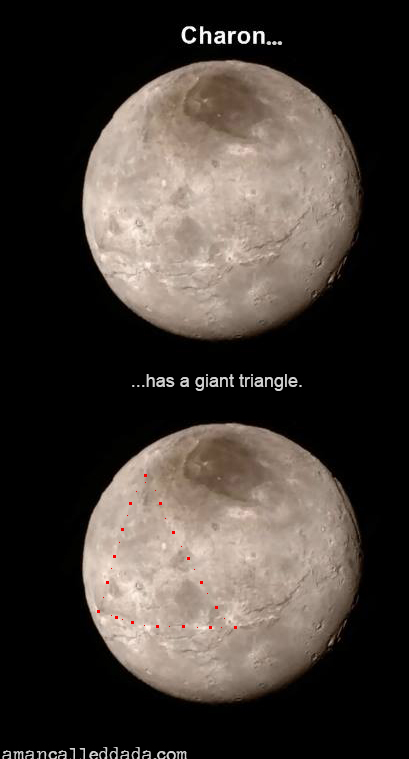 Triumph of a Man Called Da-Da: The Charon Triangle? Ok. Da-da checked with his unimpeachable sources on this, and this image has NOT been photoshopped. There really IS an enormous triangle scratched onto Charon's surface -- and there appears to be more weirdness.